Hope that you are all ok and not too battered by wind and rain. In Yorkshire we have been having very dark days and lots of colder weather, it is lovely to stay inside at this time of year and snuggle up with some stitching. I spent all of yesterday with my fleecy blanket and some hand embroidery in front of the TV which was brilliant. 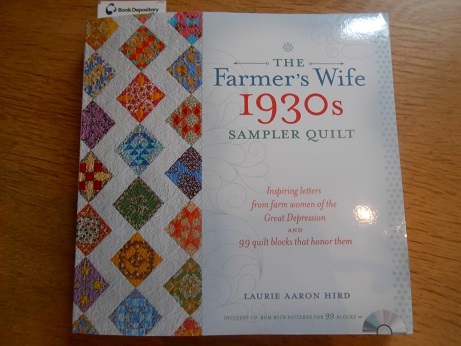 I have been reading some very inspiring letters this week, written during the American Depression of the 1930s and contained in a beautiful book, The Farmer’s Wife 1930s Sampler Quilt. 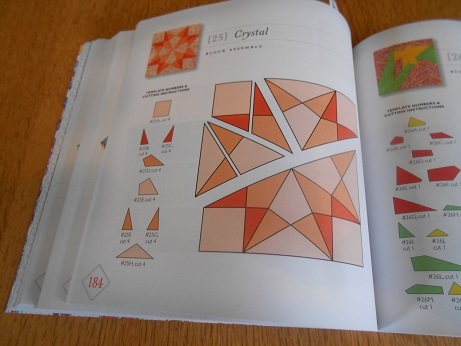 I had seen this book on various blogs and had been tempted by it for the beautiful hand piecing but told myself I didn’t need another quilt block book. Then I read the info and realised that it was actually reproductions of letters from the Farmer’s Wife magazine of the era and since I love anything that ties history and crafting together got a copy. The letters were obviously published to try to inspire and support women living through that time of poverty and uncertainty and talk of the joys of a simple life, growing your own food, valuing time with family, (and putting that first above cleaning!) and the beauty of your surroundings. 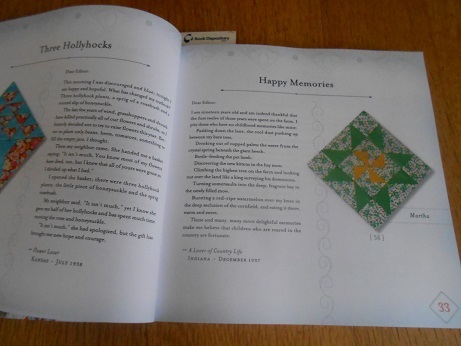 I have really enjoyed reading them and plan to make a few of the blocks for a hanging in my craft room, I think they would look lovely out of the Liberty scraps I have. 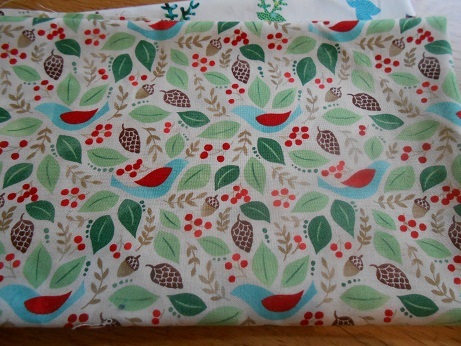 I also have some new fabric to show you, bought last week at Simply Solids. 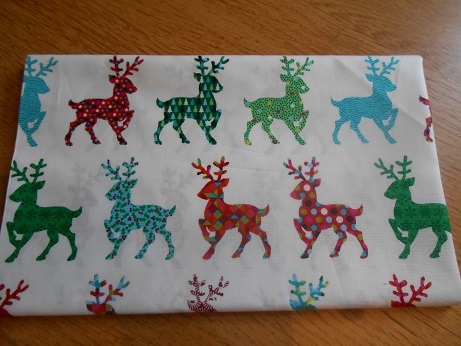 This I just had to add to my Christmas fabric stash because it is so cute, look at these reindeer! This is from the Festive Modern Christmas Collection by Makower. This one below will look lovely with some of the bird embroidery designs from Jenny of Elefantz, I am doing well with my hanging for the craft room so will be back to ornament stitching next week. I am intending to use this and the Makower snowflake one as surrounds for more pretty Noel birds. 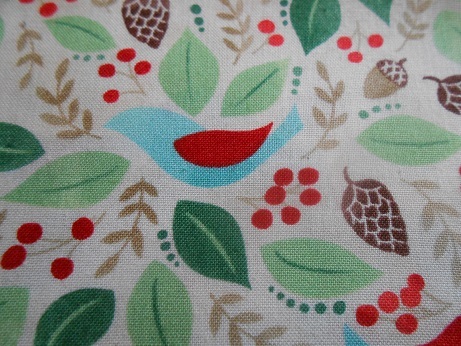 This fabric is called Evergreen Marshmallow Goodwill by Basic Grey. 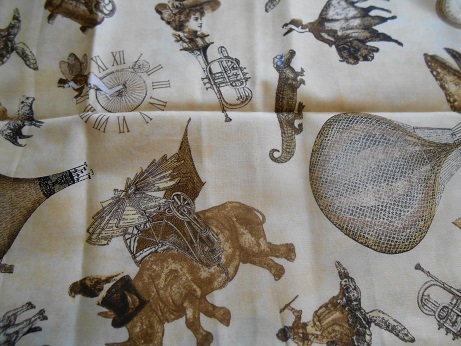 My lovely friend Helen also gifted me this – she thought it would well for the Steampunk costumes that we are making for later next year, I love all the whimsical things here. 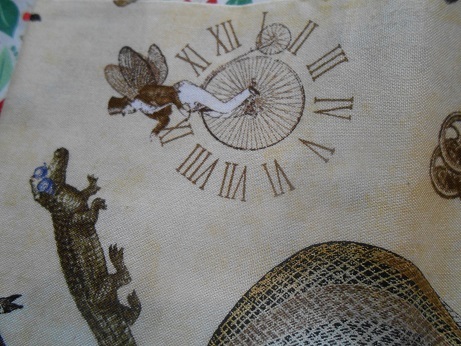 I don’t know where this fabric comes from though. It is very soothing to have lovely fabric and lovely things to look forward to when it is cold and dark and I am very lucky to have lots of lovely things in my life, hope that you are too! One very lovely thing is happening this week as we are having graduation. There is always a great sense of achievement for my students and their families on this day and it is lovely to meet so many parents, children and partners who have supported my students along the way. Most of them are mature students and like the farmer’s wives in the book have so much to do as well as study. The best bit for me is when the staff line up on the way out of the hall and clap them all as they leave, that always makes my day as they are not expecting that and is great to see the smiles on their faces as they pass us. Hope you are going to have a great week ahead with lovely things in it, see you soon and thanks for visiting. Yes, that’s a much more positive idea than “This too shall pass” which is often suggested for similar situations. 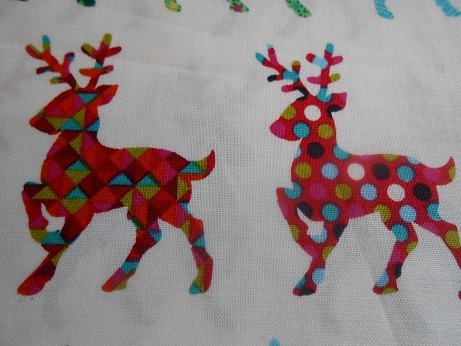 It rather goes along with Emma at Silverpebble and her “Making Winter” bloggy thing, too! Thanks for that info – have just checked out the Silverpebble blog and will be joining Making Winter, seeing these months as a perfect crafting opportunity (and the chance to eat lots of cake!) is one of the best ways to cheer up the sad prospect of the next few months of sideways rain!